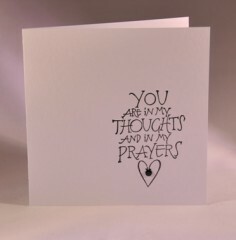 Each card measures 125mm x 125mm. 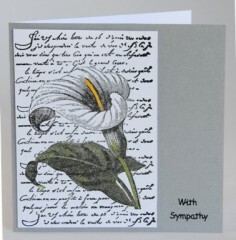 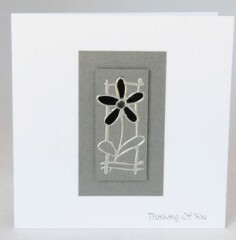 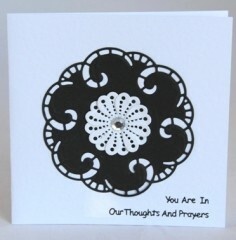 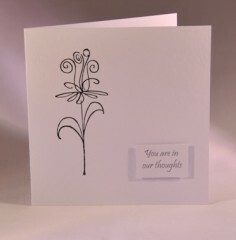 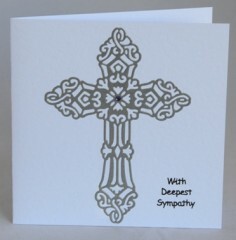 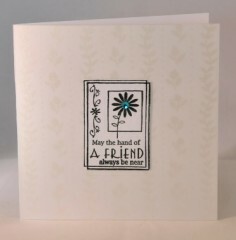 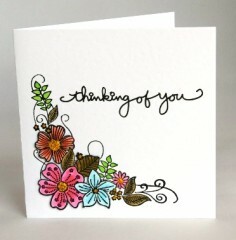 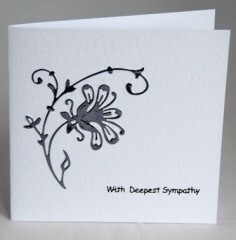 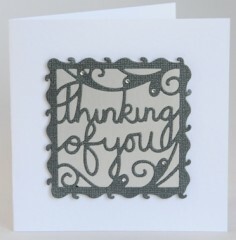 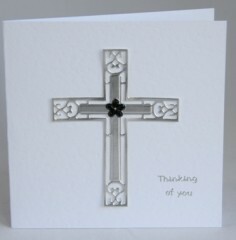 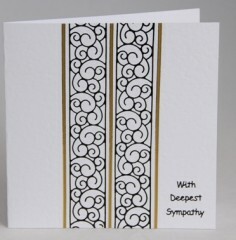 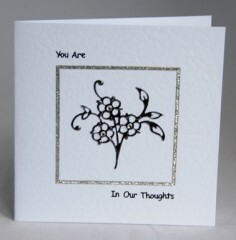 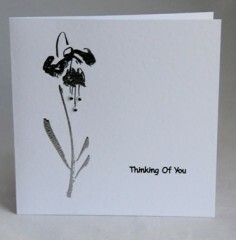 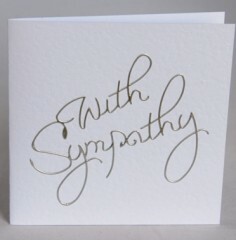 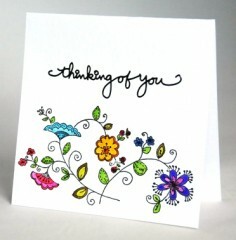 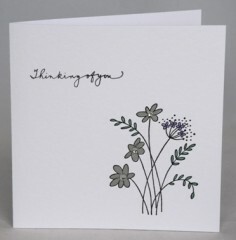 Mark this sad occasion with a handmade card to say you care. 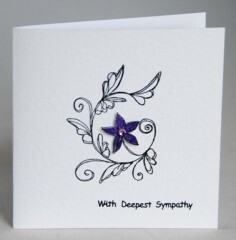 Send someone your loving thoughts and sympathy and let them know they are not alone at this difficult time. 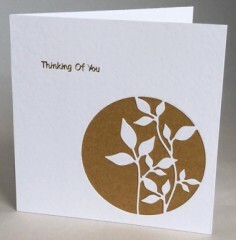 Clicking on the photograph will show an enlarged picture and on the card title will show additional views of the card.